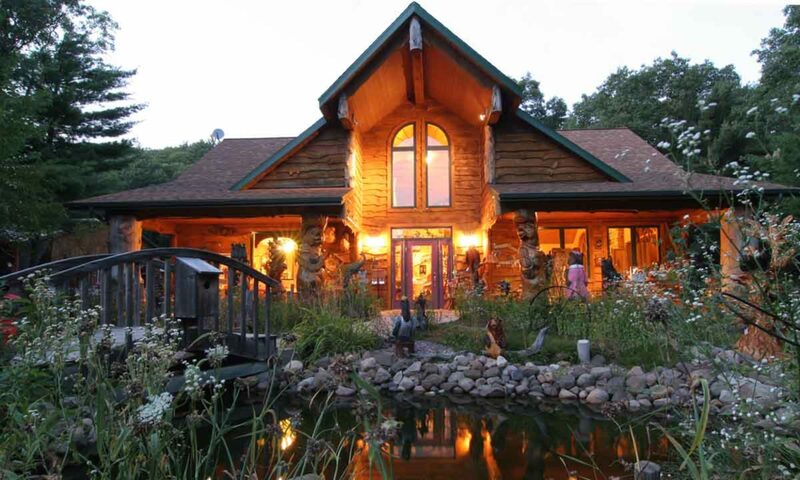 Indulge your senses at one of Wisconsin’s Dells area’s Most beautiful and unique showrooms. 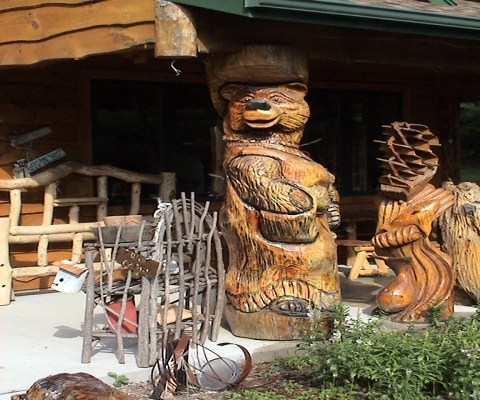 Featured at Watson’s Woods are handmade log furniture, pottery, copper work, Native American artwork, fretwork and an array of chainsaw carvings and sculptures. 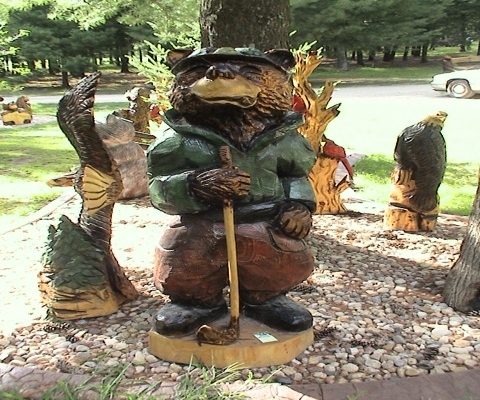 The carvings are carved by Wisconsin area’s Grand National Champion Carver, Dave Watson. 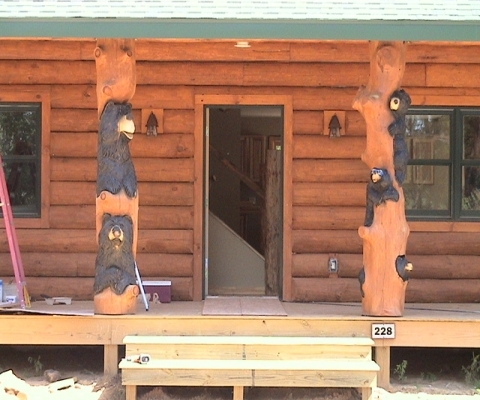 Discover the tranquility year round at our wooded location just three miles North of downtown Wisconsin Dells. For more information on the Wisconsin Dells visit Wisconsin Dells Visitor and Convention Bureau. Our showroom contains a variety of different products. We carry a wide variety of authentic antler sheds that have been used in the creation of lamps, wine holders, chandlers, knifes and more. We carry a large selection of copper plates. Each one is very unique in size and look making each piece a one of a kind. There is authentic Native American items such as bow and arrows, fretwork, bead-work, and more. We also have a collection of wrought iron items. The showroom carries some jewelry, antique items, wood bowls, paintings, cards, and prints. Come take a look for yourself. 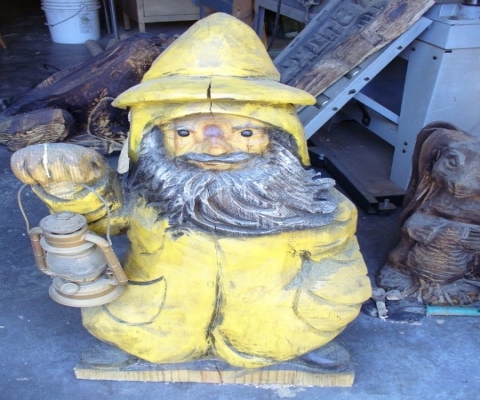 Our inventory is always changing and there is sure something you will find that catches your eye. 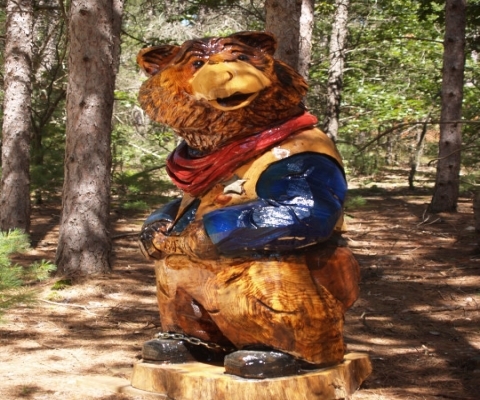 Watson’s Woods has a variety of chainsaw carvings or sculptures available to choose from. 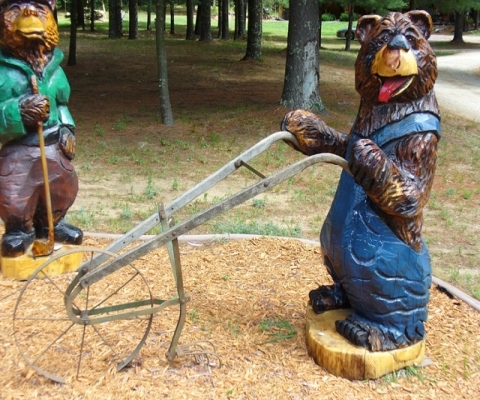 We have pre-made chainsaw sculptures that are ready to buy on site. This inventory is always changing. We are able to do custom work as well. If you see a picture you like we can duplicate it. 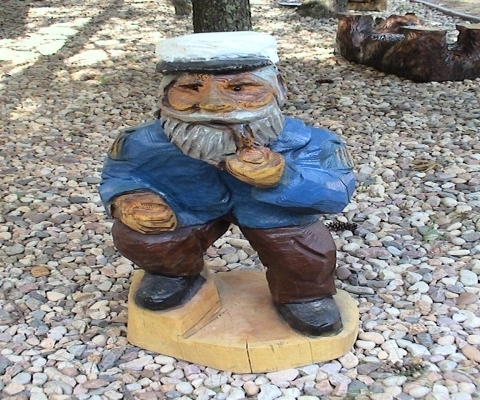 Dave will also carve almost anything you can dream up. 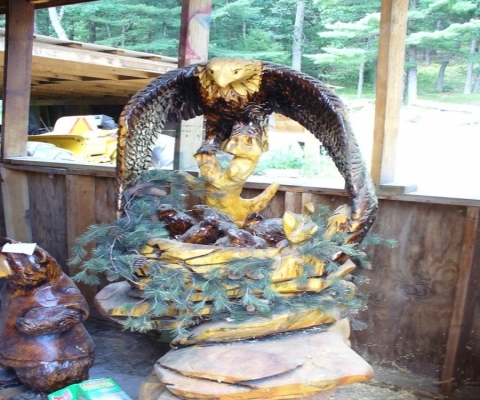 He has carved things from eagles, bears, birds, to flying pigs. 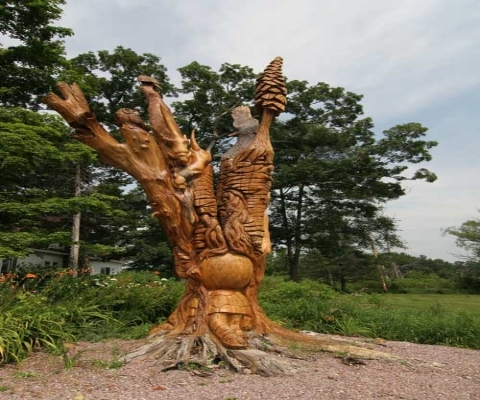 Some of his pieces have reached over 30 feet tall that were carved into trees. 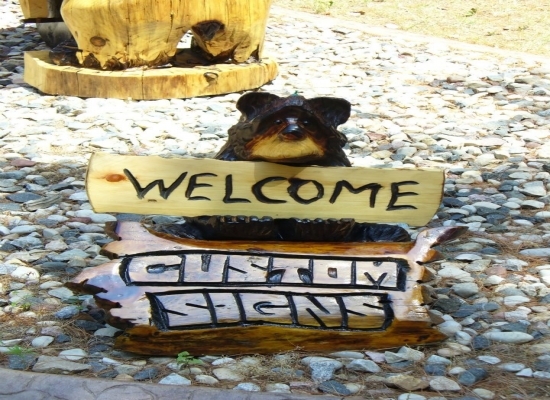 If you are curious in a custom piece feel free to call (608) 253-7440 and we will be able to give you ideas, estimates, and answer questions. 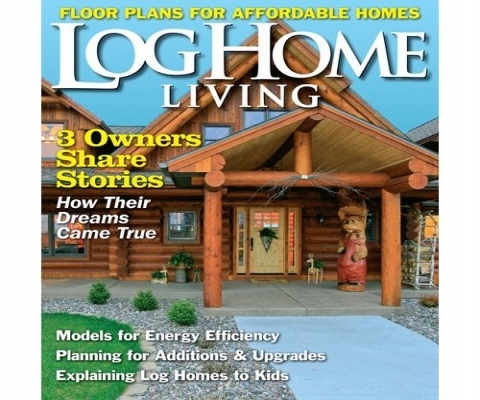 Make sure to take a look at our pictures and feel free to visit the showroom located in the Wisconsin Dells. The showroom is open all year round. Watson’s Woods show room is open all year. Come visit any season. 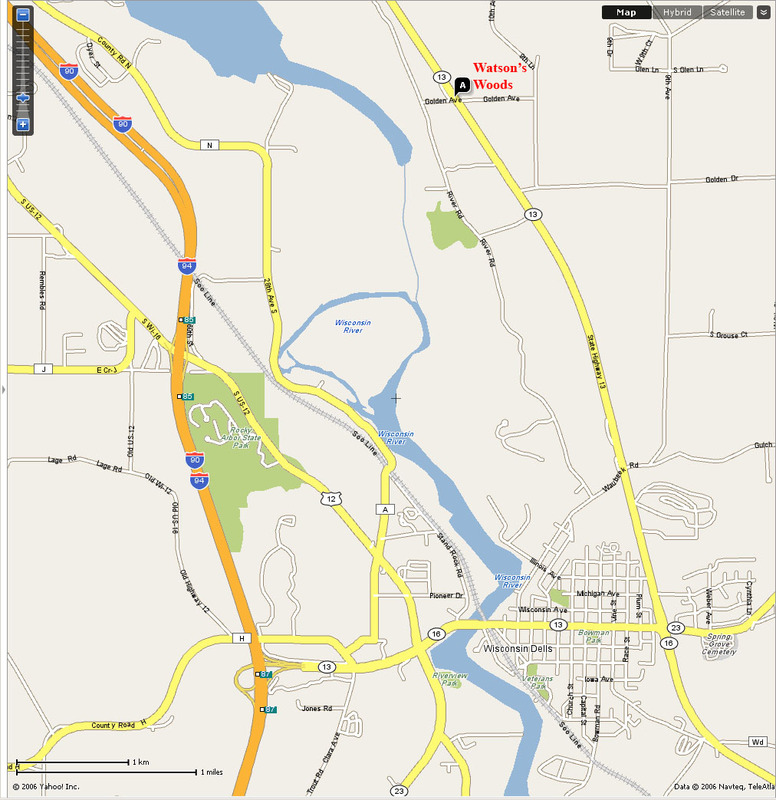 We are located just three miles North of Wisconsin Dells on Wisconsin State Highway 13. You can contact us via phone at (608) 253-7440.